Copperheads live in leaf-covered clearings in deciduous forests, where their color markings camouflage them well. They have hollow, curved, retractable fangs that are normally folded back along the jaw but as the snake opens its mouth to strike the fangs spring forward into position. In the fall of the year this snake gathers to hibernate, often in association with the timber rattlesnake. 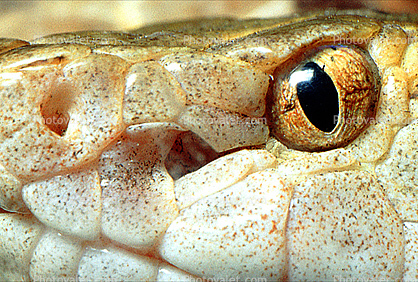 Copperheads tend to live in large numbers in communal dens. These dens are easily wiped out by suburban development and sport hunting.